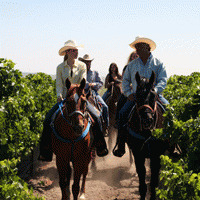 Experience the diverse beauty of Sonoma as Equitrekking’s Darley Newman rides horses and bikes through Redwoods, vineyards, the crashing waves on Northern California beaches and the golden meadows of Sugarloaf Ridge State Park. Darley fulfills many people’s dream by taking a beach ride on the dramatic Northern California Coast. Next, she travels among tall “old souls” through the giant Redwoods of Armstrong Redwoods State Reserve on an eco-tour with naturalist Laura Ayers, whose intimate knowledge comes from growing up among these trees and raising and training Quarter Horses. At a local vineyard known for colorful equestrian history and award-winning Cabernets, Darley horse rides through rows of grapes to learn about the art of wine making, before a party and tasting. Next, Darley swaps horses for bikes on an active bike tour through small-town Sonoma with the former mayor. Meeting at Vella Cheese Company, the small group indulges in sustainable, hand made cheese before biking through the area and stopping at Gundlach Bundschu for a wine tasting. 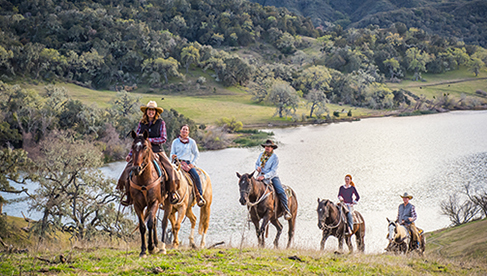 Equitrekking ends the episode with a sunset ride through the golden grasslands and colorful madrones of Sugarloaf Ridge State Park, with stunning views of Napa and Sonoma Valleys. 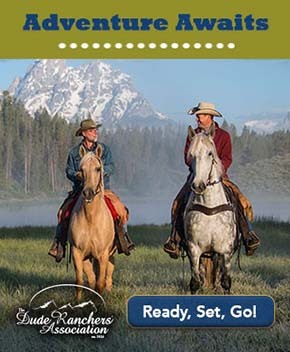 Watch the Equitrekking season two preview and purchase Equitrekking DVDs in our Store.